Park Systems, world-leader in atomic force microscopy (AFM) recently announced the opening of their European Headquarters in Heidelberg, Germany and appointment of Ludger Weisser as General Manager. Park Systems is a publicly traded company listed on KOSDAQ since 2015 where they received "AA" from two separate rating agencies on advanced technologies, becoming the first company listed that year through the special technologies IPO program. 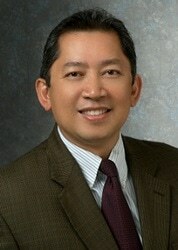 Dr. Sang-il Park CEO and founder of Park Systems was an integral part of the group at Stanford University that first developed AFM technology. We are very excited to open our European Headquarters and to create closer relationships with our valued customers in Europe. 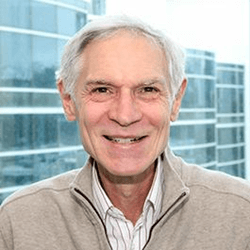 The appointment of Ludger Weisser as European General Manager demonstrates our commitment to provide best-in-class technical sales support and technology collaboration with our customers to provide unique customer-driven Atomic Force Microscopy solutions. Ludger Weisser brings over twenty years of experience in management positions with Atomic Force Microscopy companies, including Director of European Sales with Asylum Research and Managing Director at Atomic Force F&E GmbH, an advanced metrological instrumentation organization for the European research community. His extensive background includes a degree in Physics from the University of Heidelberg, university research on polymer surfaces and work with Digital Instruments, later acquired by Veeco where he was a sales manager. The fast-paced European scientific and industrial markets continue to make significant advancements in all areas of nanotechnology. Park Systems has a long history as a leader in atomic force microscopy, providing unsurpassed nanoscale advances in continuous pursuit of the latest AFM innovations. The Park Systems European Headquarters is launching a focused effort to develop close relationships with European thought leaders within the scientific and manufacturing communities and develop products that meet their needs. Park Systems is a leading innovator in nanoscale microscopy and metrology and continues to invest in the development of emerging technology. They now have regional headquarters in Korea, United States, Japan, Singapore, China and Germany. 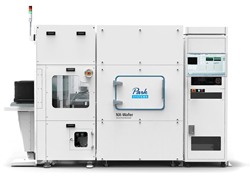 As the nanoscale microscopy demands more effective AFM technology, Park Systems is focused on developing revolutionary breakthroughs for the best AFM products for both scientific research and industrial quality control. Park Systems was founded in 1997 and holds over 32 patents related to AFM technology, including True Non-Contact Mode™ using decoupled XY and Z scanners, PTR measurements for data storage application, NX-Bio technology using Scanning ion conductance microscopy (SICM) on live cell, 3D AFM, and fully automated AFM operation software (SmartScan™).